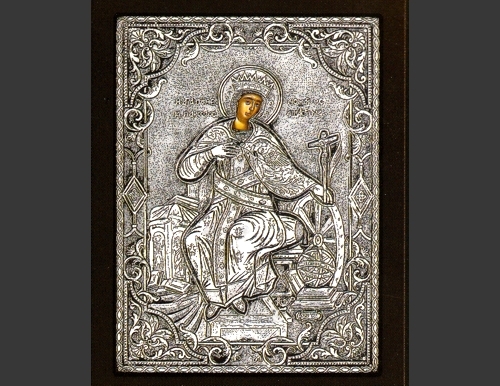 An exquisite silver Greek Orthodox icon of St. Catherine of Alexandria. 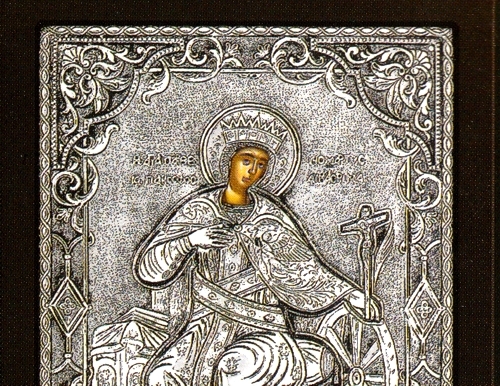 St. Catherine was the daughter of the governor of Alexandrian Egypt, Constas, during the reign of the emperor Maximinus (305-313), and she suffered for her Lord in the year 305. Her feast day is on November 25.